Please note Heart of The Beloved: Sound & Story Experience occurred in past. You're invited to participate in an immersive live experience of story and sound to bring you in touch with your essential self and the presence of the Beloved. Providing techniques that instigate a deeper revelation of your soul's song and empowers your choice to assist in the evolution of our story. As a human being, at the molecular level we are a complex matrix of energy. As we travel through life, our thoughts, emotions, and experience manifest in our body, and colors our experience of life. We are essentially always whole and complete, yet due to emotional resistance or disruptions in our field we may experience ourselves as broken, damaged, not enough, or in general dis-connected. Is dis-connection or resistance present in your life? What if these were signs pointing to a greater awareness from within ready to emerge? 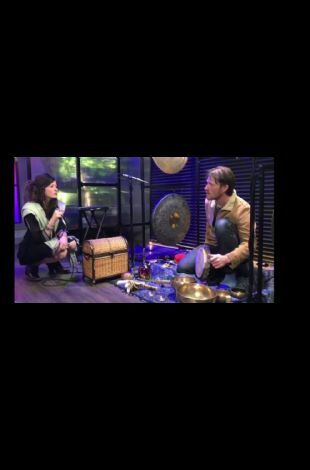 Jason and Hannah utilize sound and story to assist in supporting you to unfold the layers of your inner union with our cosmic purpose by accessing the divine heart within. They invite you into a conversation designed to integrate the wounded places of our body, mind, soul and spirit in to self-authorship and an experience of wholeness. Jason & Hannah welcome you across the threshold as we collaborate together in co-creating the world we choose to live in.